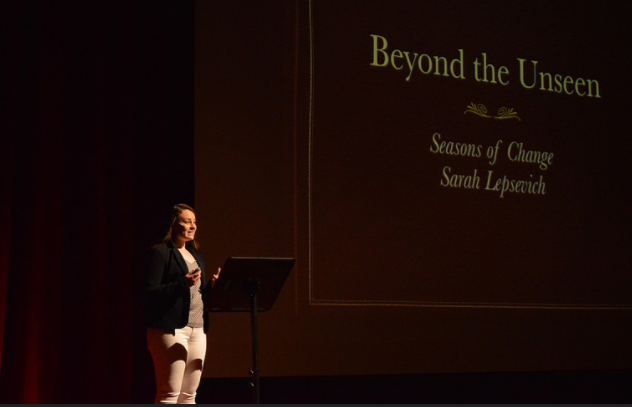 Sarah Lepsevich '17 shares her talk: Behind the Unseen: Seasons of Change. 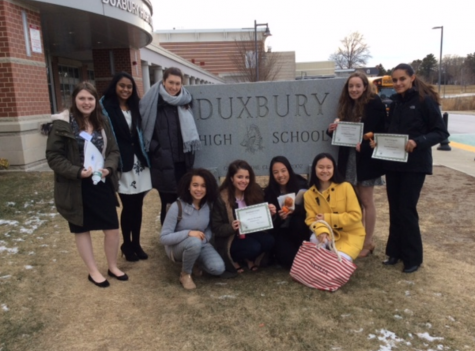 On Friday, April 28, 2017, Montrose students Sarah Lepsevich ‘17 and Gabby Landry ‘18 gave talks during a TEDx conference hosted by Burlington High School. 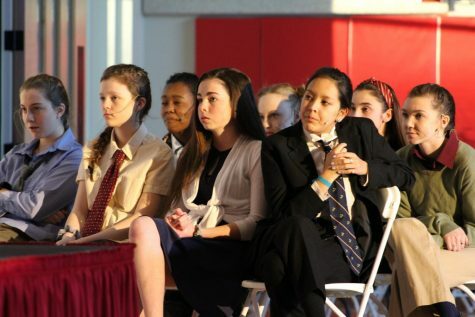 The ten speakers, whose backgrounds, ages, and personal stories varied widely, addressed the theme of “Overcoming Adversity.” Below are interviews with Sarah and Gabby. How did you learn about and become part of this event? 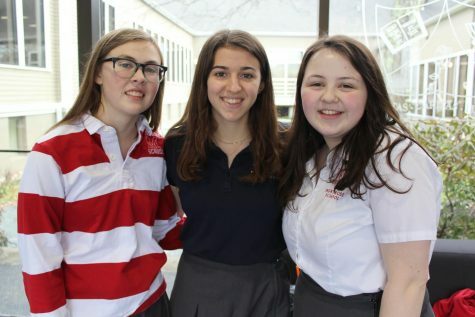 Nathalie Rodriguez vas Falcao ‘17 gave a TEDx talk last year, and she told me, ‘Sarah, you should really do a TEDx Talk–I think you would really enjoy it.’ I was hesitant at first, but then I gave a number of different talks during the year. I work with a couple of organizations, such as Think Taylor, and I’ve given speeches in Marshfield, Groton-Dunstable, Wilmington. I work with the Brain Injury Association of Massachusetts (BIA-MA), and I give speeches at high schools with their “Think A-Head” program. So in the end, I decided to give the TEDx Talk this spring. How did you choose the angle for your talk? Each time I give a speech, I try to give a different talk, because if you give the same speech on camera, you become one-dimensional. I called the TEDx Talk ‘The Seasons of Change.’ I woke up one night and was thinking about seasons…I had fallen asleep watching ‘The Seasons,’ and the name just came to me literally in the middle of the night. Fall–falling down like the leaves falling down off the trees–that’s also when I got my hit and fell on the ground; Winter–isolation; Spring, Summer–growing pains, celebration of accomplishments–I wove the seasons into my story to fit the theme. How long did it take you to write your talk? What did you do to practice? It’s funny–I actually never get nervous public speaking, because I had to re-learn how to walk and talk again, so if I can learn to walk again, then giving a speech is not that difficult! 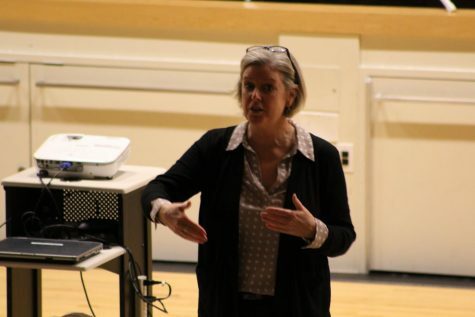 I was really excited…it was a moment of triumph for me, too–giving a talk, mentioning my goal of graduation with my class–that day I realized I had achieved the goal I had set in rehab the summer going into 11th grade. Which talks were you most inspired by? I was most inspired by Zach Watson and Sista Afzl’s speeches. Their personal stories and messages of combating the negative stereotypes associated with being Muslim, striving to inspire, empower and be a constant source of positive energy and ambition, and not being afraid of change, blew my mind. Do you hope to participate in another TEDx event? Yes, I had such a great experience with this TEDx Talk and would absolutely do another in the future. What would you say to other Montrosians considering giving a TEDx talk? Both Nathalie Falcao and I would answer together: to those who want to give a TED/TEDx Talk, ask yourselves why you really want to give one. Don’t be afraid to put yourselves out there; however, it’s a lot harder than most think and you’ve got to do it for the right reasons. You can’t just say you want to do it; it takes a lot of time and effort to put a speech together and actually present it. If you have the passion and honestly want to help others through your words, then giving a talk is perfect for you. But don’t do it if you just want to put it on your college resume. You have to spend a lot of time researching to be able to provide value; it far expands a high school term paper or something equivalent. Whenever it is possible to add your own personal experience or impact on the topic, you add a level of depth not offered by anyone else. 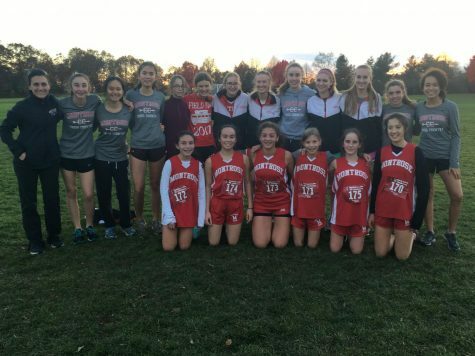 Gabby Landry ’18 shares her talk: The Power of Perspective. 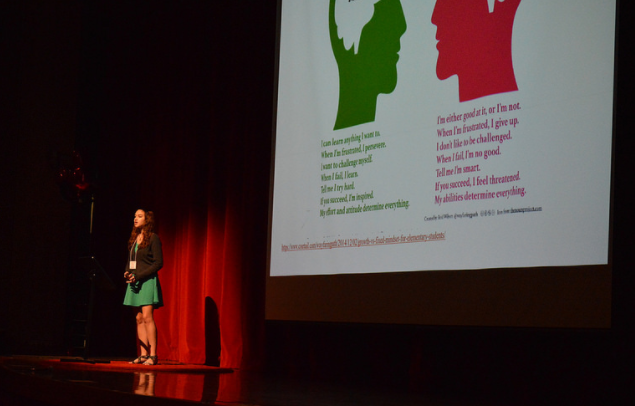 I learned about the TEDx at BHS from Nathalie Falcao ‘17, who gave a talk at last year’s event. I talked to her, and she gave me the contact information for Ms. Scheffer, who works with Mr. Wong, the man who ran this year’s event. I knew I wanted to talk about my personal journey from a fixed mindset to growth and from negativity to positivity. Being more positive is something I’ve tried to make part of my life since last year, when I noticed my own negative emotions and those of my friends and classmates. We seemed to be more negative than we were positive, at school at least, and I wanted to help change that. All of these things–growth mindset, positivity–fall under the idea of perspective, how you view your world. So, I included my own story, and then included the stories of three others who come to realize the importance of perspective in overcoming adversity: Marni Olsen from You Again (movie), Viktor Frankl (Holocaust survivor and author of Man’s Search for Meaning), and Dorothy Height, a Civil Rights Movement leader and author of Open Wide the Freedom Gates (her memoir). I ended up writing the majority of my talk in the car driving to my sister’s college in Vermont, and from there, I spent more time editing and thinking through what I wanted to say. Once I finished I wrote the talk and it was good to go, I created my slides. Then, I tried to run through it at least twice every day for the next couple of weeks. By the time 28th rolled around, I had many parts memorized and I felt comfortable with the rest. 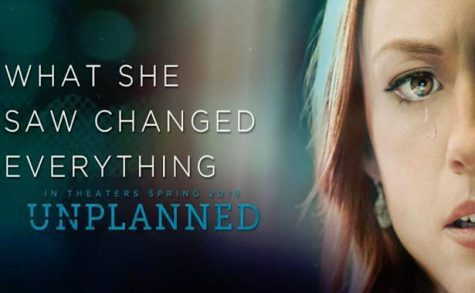 I was nervous, but also very excited to share my ideas. It also helped to have the support of my friends, family, and teachers, many of whom watched my talk live. And it was great to have my advisor, grandmother, and brothers there at the talk watching me in person! The other people there who ran the event, and the others giving talks, were also very friendly and encouraging. It was SUCH a great day! Which other talk were you most inspired by, and why? Do you hope to participate in another TEDx event? What would you say to other Montrosians considering giving a TED talk? I definitely want to participate in another TEDx event, and I would encourage other Montrosians to consider doing the same. 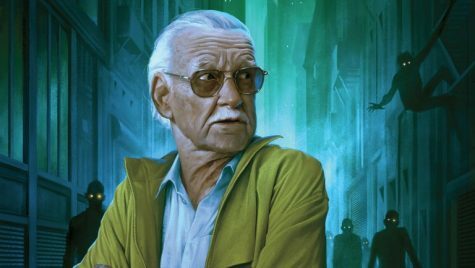 I think you should remember that you don’t necessarily need some huge “accomplishment” or some very difficult story (not to negate those, because those are often very powerful and important talks–like Sarah’s, for example); everyone has some story, some idea, some new insight, to share with a wider audience. Know that preparing your talk will take a lot of time, thought, and effort, but don’t be afraid to share your ideas! 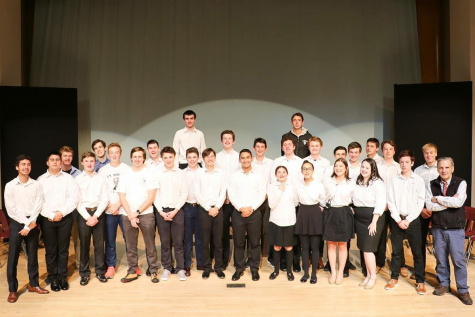 I also think we should organize a combined event, in a slightly different format than TEDx, with Xaverian, or another of our brother/sister schools, to give students from both our schools the opportunity to share their ideas and stories. We could probably choose a couple alumni speakers from both schools as well. I am meeting with Dr. Bohlin before the end of the school year to discuss making this idea a reality! I think this process of writing and giving my talk has given me even more motivation to share my ideas on these topics, and to encourage others as well.